The transition from horses being used for transportation to cars happened in just a few short years, as depicted by an iconic set of photos of downtown Manhattan in New York City. The first shows a street covered with horse-drawn carriages. Just 13 short years later, the second photo depicts the streets of New York City chock full of cars. Nearly 100 years later, Apple’s iPhone kicked off the transition to smartphones in 2007. Just a few years later, non-smart phones have been labelled old phones and the market leaders in cellular phones prior to the iPhone, like Nokia, were simply left behind. The Point of Convergence is where just enough crazy people come together with enough chunks of an idea around the same time and decide to charge in to create a completely new ecosystem. The early exponential growth of products is called the J-curve, and the eventual full tech adoption trend is called the S-curve. S-curve graphs documents the historically radical adoption rates of technologies that are so much better or cheaper than existing products that they create radically divergent purchasing behavior, transforming markets in a very short period of time. The internet has changed things and not just the number of hours the average person spends watching cute kitten videos. It has caused adoption S-curves to get steeper. We used to rely on the postal service, word of mouth, and the newspaper for information. Those mediums have been replaced by instantaneous email, texting, and Facebook for news (an unfortunate reality for many other reasons). The speed at which new technologies, new ideas, and new products can get from the manufacturer to customers has increased drastically, with many products even hitting the market before they are real products thanks to startup platforms like Kickstarter and IndieGogo. Said another way, people learn about, adopt, and start using new tech much faster than they used to. Underpinning the electric vehicle market disruption and the renewable energy revolution is energy storage. Most of that energy storage today hits the market in the form of a handful of chemistries of lithium-based batteries. Production of these particular batteries are ramping up at levels nobody expected, resulting in prices far lower than just about all of the forecasts expected. Current forecasts expect there to be 20 lithium-ion battery “Megafactories” by 2021, which is a 6-fold increase versus estimates from just a few years ago. Play that back. 3–5 years ago, experts studying battery production forecasts thought there would be 3 or 4 battery Megafactories in 2021, and today, they expect there to be around 20. Nomura Research’s estimates have global battery production capacity adding the entire production capacity available in 2016 each year in the future through at least 2022. Things are changing. Mainstream analysts are starting to see how disruptive batteries will be in the homes, businesses, and streets of not just the future … but of today. Tony shared that 25% of US businesses could save money today if they put batteries behind the meter … today. Not “when combined with solar,” but just batteries. That equation is only going to improve as global battery production capacity continues to improve and R&D enables them to store more power in an ever decreasing physical footprint. The fact that electric vehicles and stationary energy storage are both set to launch into the stratosphere in coming years compounds the amount of battery production capacity needed. 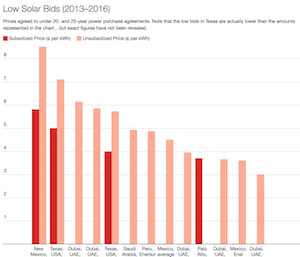 These two will move differently in different markets depending on electricity pricing, utility net metering policies, the price of gasoline, government incentives, etcetera, but everyone agrees that both are ramping up. Tony believes electric vehicles have also reached a tipping point, noting that, “I don’t need to tell you that EVs are superior. That’s what the mainstream analysts don’t get. These are not a substitute, EVs are superior.” He believes it will not be saving the planet that is driving the revolution, but rather, simple dollars and cents. “The electric motor is 5 times more efficient in converting the energy in the battery to usable, kinetic energy.” This translates into electric motors using 10x less fuel than their internal combustion counterparts. Sound familiar? 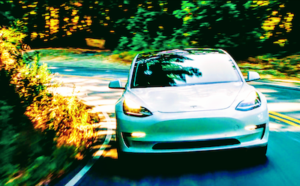 With several EVs with more than 200 miles (320 kilometers) of range at around the $35,000 price point, they are well within reach of the average consumer in developed nations. At a similar purchase price and lower fuel cost, the deal is sweetened even further by lower maintenance costs and longer vehicle life expectancies. 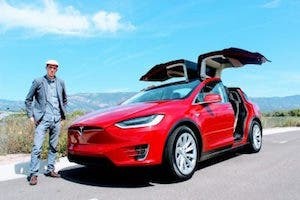 Tony gave the example of an electric vehicle shuttle service that told him that the top maintenance expense for its vehicles over hundreds of thousands of miles was tires. Electric vehicles also cut capital expenditures for companies and individuals. Most EVs are expected to last 500,000 miles (800,000 kilometers). Tesla, pushing the envelope like it does, is targeting 1 million miles (1.6 million kilometers) for its vehicles. 500,000 miles is an impressive ~3.5x the life expectancy of internal combustion engine vehicles, while Tesla’s target is 7x the life of an ICE vehicle. 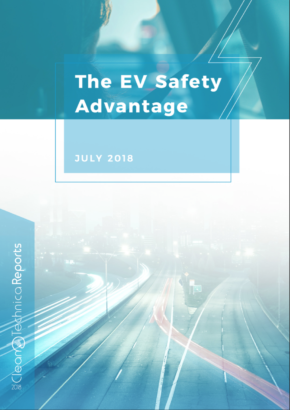 Said another way, buyers can afford to spend 4 to 7 times as much on the purchase of an electric vehicle and still “break even” with the handful of ICE vehicles that would have been left in the automotive graveyard over the same time period. Granted, most buyers will simply spend the same amount up front and take the long-term savings. Looking at this another way, at the US average of 10,000 miles per year that are put on most privately owned vehicles, Tesla aims to make a vehicle that would last the average driver 100 years, spanning several generations of drivers along the way. Of course, private consumers are not going to keep a car for 100 years or drive 1 million miles, but that’s a separate topic for the next section. 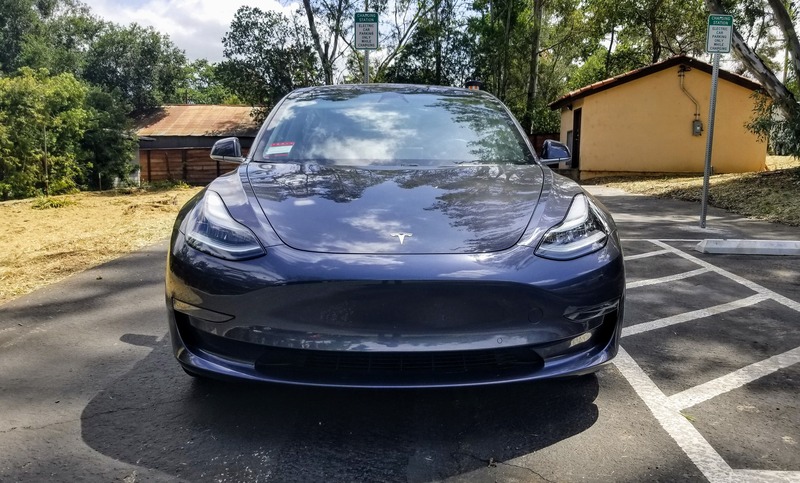 The launch of Model 3 seemed to reinforce Tony’s statements, as hundreds of thousands of customers threw down $1,000 just to get in line for Tesla’s $35,000 electric car with 200+ mile (320+ kilometer) range back in 2015. Now that a handful of offerings are available at this price point, with many more on the way, EVs would seem to be a shoe-in. Tony closed by building a bridge to a future that most people can’t even imagine — a future where humans have completely handed off driving to the onboard artificial intelligence (AI), also known as fully autonomous driving. Impressively, Tony sees fully autonomous driving as an even bigger technological disruption than electric vehicles. Tony shared boldly, as he tends to do, that the first manufacturer to reach autonomous driving level 5 will own and define the market. The first fully autonomous production vehicle with the legal ability to drive on public roads will almost instantaneously have the ability to replace all taxi drivers, Uber/Lyft/Didi/etc. drivers, all semi-truck drivers, transit bus drivers, and a slew of other drivers on the road. That has the combined effect of significantly lowering the cost of moving around on public transit, the cost of shipping goods around, the cost of getting around via an on-demand transportation service, a ride to the airport … it changes everything about how people get around almost overnight. Clearly, production volumes need to be proved out (I’m looking at you, Tesla) but the move to fully autonomous driving — also known as “level 5” autonomous driving — will have the most significant effect on mobility since the internal combustion engine. In addition to the cost implications, level 5 autonomy restores mobility to those who are unable to drive for one reason or another. No longer will high schoolers have to wait until this or that age to learn to drive, because humans will not be able to drive on the roads anymore. No longer will the department of motor vehicles be the gatekeeper to the privilege of driving for the young and the old. Vision tests, physical handicaps, and medical changes … they won’t matter. The robotaxi will come and it will go, no matter the hour. Safety drastically improves, drunk driving becomes a thing of the past (though, a few inebriated individuals may show up at the wrong address from time to time), the cost of moving people and things change and mobility improves across the board. The benefits of fully autonomous driving are profound and far reaching. Surely, this must be a technology of the far future, never to be realized in our lifetimes … right? Wrong. Reliable level 4 autonomous driving exists today in prototype vehicles like Waymo’s vans, the Waymo-powered Jaguar iPace and numerous other prototype vehicles being tested on public roads today. The technology that enables fully autonomous driving is also coming down in cost as use cases blossom and manufacturers ramp up production volumes on critical LiDAR sensors. Just a few years back, in 2012, Velodyne’s LiDAR unit was a cool $70,000. Fast forward to today and Quanergy has a comparable LiDAR unit for $1,000. A $250 unit is also nearly ready for production, with $90 units not too far behind. Autonomous EVs on demand, also known as “Transportation as a Service” or TaaS, will be 10x cheaper than personal vehicle ownership the day it is approved, which Tony estimates to be 2021. Stepping back and looking at this, in 3 years — or around 1,000 days from now — Tony expects there to be a legal, production-ready, fully autonomous vehicle capable of driving anywhere without any interaction from a human. Every single time there has been a 10x improvement in technology, there has been a market disruption. 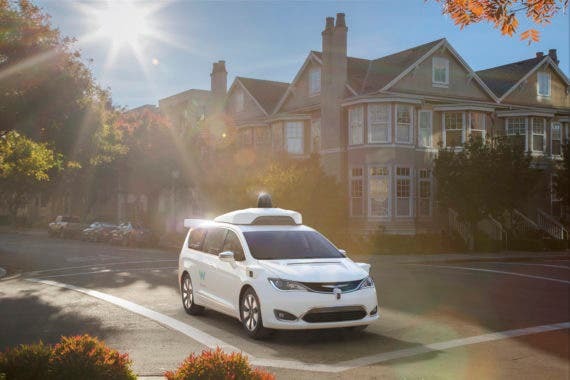 Tony estimates these factors combined will result in 95% of all passenger vehicle miles being driven by on-demand, fully autonomous vehicles by 2030. That’s a mere 12 years and a few more grey hairs down the road for most of us. Surprisingly, he expects 40% of the cars in 2030 to still be privately owned, with the remaining 60% being comprised of fleet vehicles that will drive 95% of passenger vehicle miles at all hours of the day and night for pennies. Fleet goes down by 80% … which still leaves 2x the capacity needed for rush hour. 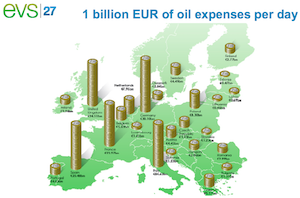 This is not an Energy Transition, this is a Technology Disruption. 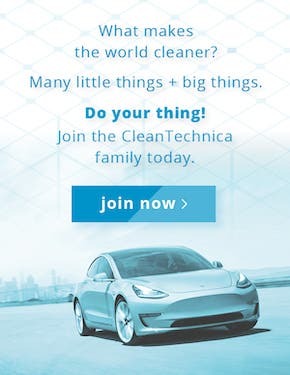 Bonus points and maybe a few extra Christmas cookies to anyone who spots CleanTechnica’s very own Zachary Shahan in the video above. If you want to see a little more debate about the numbers, check out this cleantech battle.